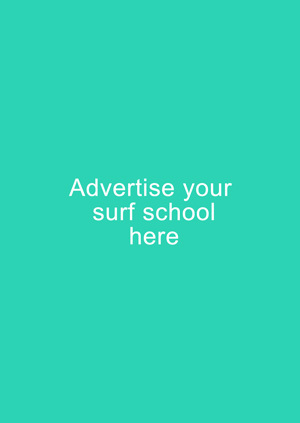 Michelle Davy runs a well-known surf school called – Stoked School of Surf. Stoked School of Surf was started out of a pure passion for surfing and sharing the ‘stoke’. Michelle likes it as every day is different for them as they introduce people from all walks of life to the joy of surfing which makes each coaching or guiding session interesting and fun. But besides the coaching element, there is the daily running of the business, which ranges from answering enquiries, marketing, book keeping and equipment maintenance. The Stoked School of Surf logo was designed by Daniela Loureiro. Michelle liked the classic design that embraced the essence of the surfing lifestyle. On closer inspection, the illustration seemed familiar to Michelle. Dani later told her that she had actually used a picture of Michelle overlooking the surf at the beautiful Tea Tree Bay in Noosa as her reference for the logo. They had traveled there together in 2008 and shared many great waves. So besides being an incredibly striking design, it has great memories attached to it too. She loves teaching the most. She loves to watch clients arrive for their first lesson slightly hesitant and seemingly nervous and then leave totally stoked and confident. She also loves the marketing side of her job. Michelle’s advice to anyone thinking about learning to surf is to stop thinking about it, just get out there and give it a go. It is important to you use the correct size board when you start. A longer board generally makes it easier to catch waves. The more waves you catch the more you actually learn to ride a wave. Go out with someone who can guide you into the correct waves and give you tips on how to stand up correctly and show you effective paddling technique. She got her 1st surfboard at the age of 23 and currently rides a 6.2ft DVG. It is relatively buoyant (compared to her other short boards) making it easier to paddle and get into waves and flies as soon she’s on her feet. 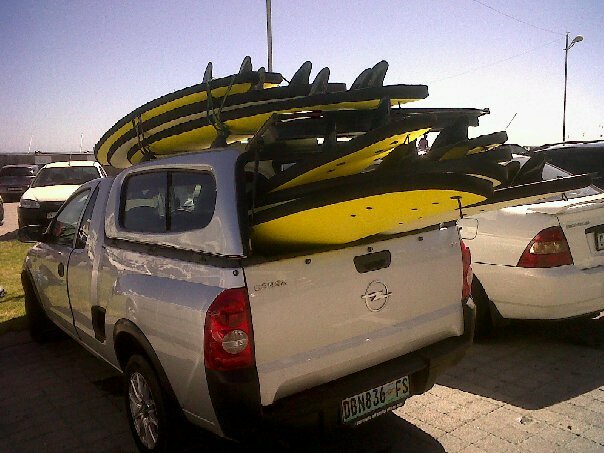 It’s the perfect board for waves on the Atlantic Seaboard. She also has a range of fun boards which she likes to use for softer point breaks or beach breaks. As a thoroughbred Cape Town surfer she doesn’t have an affinity for any particular spot as she’s willing to go where ever the waves are. However, given the choice she would say she likes the waves on the West Coast best. 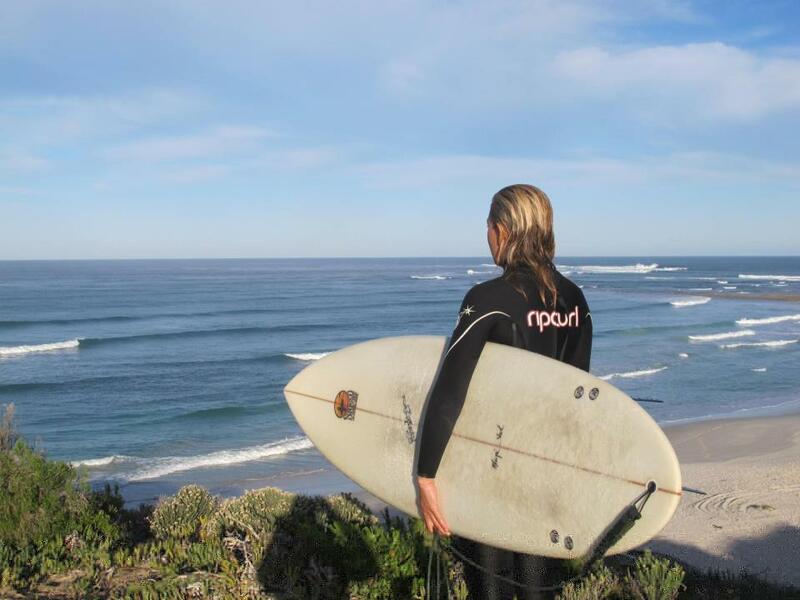 Locally, one of her favorite sports is Seal’s Beach when the banks are good and is one of her favourite waves along with Elands Bay on an uncrowded day (which is rare these days). Pavones in Costa Rica is her favourite wave overseas. It is one of the longest lefts in Central America with warm water and a jungle setting as a backdrop that makes for an incredible surfing experience. Surfing is more than just a sport for Michelle. She loves sitting on her board as the sun dips into the horizon, hooting as a friend gets a good wave, shrieking when she gets one yourself along with riding the energy of the ocean and communing with. Surfing has affected many major decisions in her life – She quit her professional career in marketing and advertising to go surfing around the world, met the love of her life whilst surfing up the West Coast and started a business which is all about sharing the love of surfing. If Michelle could change one thing about surfing it would be all the localism and aggression on the backline at some of the busier surf spots. She hates that. Like some of our other female surfers on this site, Michelle was inspired by Bethany Hamilton’s courage, humility, tenacity, and faith. Get out there and hit the waves.